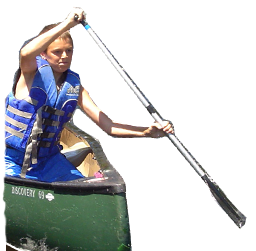 The CCF is a charitable organization (BN 817126543RR0001) that develops watershed-focused environmental education projects and sends Canadian youth on canoe-trip learning adventures. Our objectives are to educate communities about sustainability and to provide youth with a ‘hands-on’ education regarding Canada’s natural heritage and the importance of protecting our wilderness areas and waterways. We believe that canoe trips provide a transformative environmental education that cannot be achieved in the classroom. The CCF partners with environmental organizations in order to promote the protection of the waterways we travel. These partnerships provide our youth participants with an on the water education regarding the issues facing Canada’s waterways and establishes concrete opportunities for them to engage in the work of local organizations who are working to promote the sustainable management of Canada’s watersheds. The CCF also partners with accredited outfitters who provide the expedition logistics (transportation, equipment, food, certified guides etc.). This ensures that our canoe trips are led by professionals with extensive experience on the waterways we travel, helps support local ecotourism operations, and spreads the message that ecotourism is an increasingly important industry for the Canadian economy. At the start of each project we work with schools in the participating watersheds to educate the students about their watershed and what ordinary citizens can do to help promote the sustainable management of their watershed. Students in grades 9, 10 and 11 are encouraged to apply to be a part of the Water Leaders canoe trip phase of the project. Project promotion activities will spread the message of sustainable watershed management via advertisements in local newspapers, posters in high-traffic areas (e.g., community centres, hockey rinks) and interviews with local media. During the canoe trip, the Water Leaders take part in hands-on environmental education sessions, led by the CCF project facilitator, our partnering organizations and hosts at sites of interest along the waterway. After the trip, our Water Leaders return to their communities where they make presentations to their schools and write articles for local newspapers describing their experience and their newly acquired environmental knowledge. The CCF works with our environmental partners (e.g., CPAWS, Riverkeeper programs) to engage our youth participants in their conservation campaigns (e.g., letter writing campaigns, community centre presentations). Through this process, our Water Leaders work to educate and motivate their communities about environmental issues in their watershed and what ordinary citizens can do to be a part of the solution (e.g., volunteering with a local ENGO, reduce water-use). The CCF was recently designated a strategic partner of Paddle Canada (PC), a national organization made up of provincial and territorial paddling associations. PC’s paddling associations arrange canoe instruction courses at the start of our canoe trip learning adventures. Accordingly, our youth participants learn proper canoeing techniques and spread the message that safe outdoor adventures starts with certified instruction. The paddling associations also play an important role in promoting our projects (e.g., Facebook, websites, Twitter), thereby promoting our programs to thousands of citizens across Canada. The CCF develops the next generation of informed and motivated environmental citizens who engage in community education initiatives that spread the message about environmental sustainability and ‘getting involved’, thereby impacting on thousands of citizens across Canada. Our projects also raise public awareness of the conservation work of our environmental partners. How are the paddlers selected? Students register to win a spot on one of our canoe trips by completing our Online Registration Form on this Web Site. We are looking to develop Water Leaders who are passionate and motivated about environmental issues. Please visit our Win a Canoe Trip page for eligibility requirements and to access the form. The Foundation partners with accredited canoe outfitters who provide the expedition logistics and certified guides. Trip guides will have the required provincial and/or federal certification (canoeing, first aid) as well as extensive experience in canoe guiding and environmental education. We will also send a Canadian Canoe Foundation facilitator on each trip to deliver our environmental education programming. Where does the money for the canoe trips come from? The Canadian Canoe Foundation receives its funds from government, charitable organizations, corporations and personal donations. 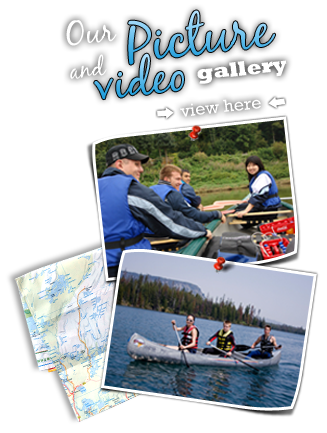 The Canadian Canoe Foundation is a charitable organization with the Canada Revenue Agency: BN 81712 6543 RR0001 . Please visit the Make a Tax-Deductible Donation page on this website to support the Foundation or give us a call in order to discuss a specific watershed education project that you would like to support.